Over 600,000 Facebook accounts are compromised each day in result of hacking/forgetting passwords. Facebook security has been an issue from quite a while now, with increasing concerns over the privacy issues. Recently Facebook launched these 2 new features (options) as a part of their fight against account hijacking. Security and safety are at the core of Facebook. We have entire teams dedicated to building tools that give people even more control over their account and specifically the way they access their information. 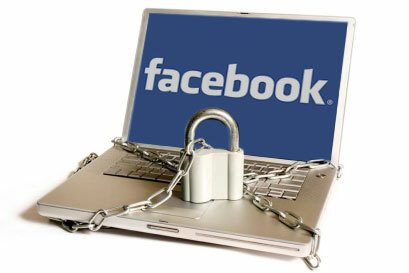 In fact, many of our most talented engineers are working exclusively on creating a secure environment on Facebook. Lets see what the two new features are about. Say, you forgot your Facebook account password. What you do next? Go out for 'forgot your password' option, right? What if you forgot the password of the email that you have provided for the back door access too. Now this is where Trusted Friends play their part. I believe this is a great improvement in the back door solutions from Facebook. You simply have to select a couple of your close friends, say 3-4, in Trusted friends option. Now when ever you have to access your account in hard times, simply ask the password and other details that Facebook has emailed to your close friends. Thats pretty much it. If you forgot your password and need to login but can't access your email account, you can rely on your friends to help you get back in. We will send codes to the friends you have selected and they can pass along that information to you. To select your 'Trusted Friends', go to your Security Settings. (Account > Account Settings > Security). The second feature is being the 'App passwords'. We all use a bunch of applications on Facebook. Many of them ask to login with Facebook credentials. So, this new features allow us to generate random passwords, for the apps we select. That would keep our original logins safe from the third parties. Simply go to your Account Settings, then the Security tab, and finally to the App Passwords section. You can generate a password that you won’t need to remember, just enter it along with your email when logging into an application. I hope these features would help to improve account mishaps in future. I certainly do not trust Facebook's ridiculous Trusted Friends. It breaks the number one rule in safe password-keeping. Never ever share passwords with other people. Besides, can we truly trust Facebook? oh that's why one of my friend was not getting his fb account and fb notify me that i should call him and tell him the codes! hi ..i have been following your blog from many days..
please visit my blog and give me some suggestions..